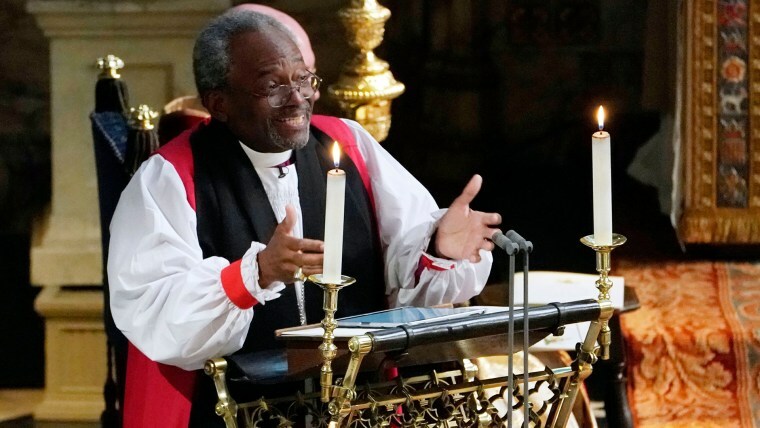 Curry, who captivated the world with his passionate sermon at the wedding of the Duke and Duchess of Sussex, has revealed he'll undergo surgery soon. The Most Rev. Michael Bruce Curry, who shot to fame after presiding at the royal wedding, has confirmed to TODAY the he's battling prostate cancer. "A few months ago, through my annual physical, I was diagnosed with prostate cancer," the 65-year-old explained in a statement. "After a variety of tests, consultations, and conversations with my wife and daughters, I decided on a surgical treatment course. On this coming Tuesday, July 31st, I will have surgery to remove the prostate gland." The news comes just two months after Curry gained famed on both sides of the Atlantic for his moving and impassioned sermon at the wedding of Britain's Prince Harry and the former Meghan Markle, now known as Meghan, Duchess of Sussex. The bishop's sermon was the most tweeted part of the big event, making Curry a hit with royal wedding watchers. In the wake of his diagnosis, Curry, the presiding bishop of the Episcopal Church and the first African-American to occupy the role, remained hopeful. "I am happy to say that the prognosis looks very good and quite positive," he said. "I have spoken with several others who have gone through this, and who have offered both encouragement and helpful advice. I will be in the hospital for at least a day, then at home to recuperate." According to the American Cancer Society, prostate cancer ranks just behind skin cancer as the most common form of the disease to affect American men, with 1 in 9 men diagnosed during their lifetime. Though it's also the second leading cause of cancer death for men in America, most men who are diagnosed go on to survive, with a 96 percent survival rate even as long as 15 years after treatment. Curry expects to recuperate from his surgery within four to six weeks, and he'll resume his duties in September. "So, do say a prayer," his statement said. "And know that I look forward to being back at my post in September." His friends here at TODAY, as well as his fans and followers around the world, look forward to that as well.